Caroline Berry is lost at twenty-seven, living in New York -- not as the writer she once hoped to be but as an assistant at two part-time jobs. 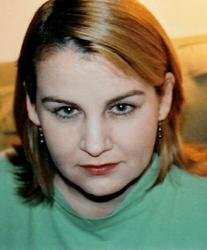 In an attempt to figure out a next step, she heads for Point Clear, Alabama, to spend several weeks relaxing at an old southern hotel on Mobile Bay -- unaware that it will soon lie in the direct path of Hurricane Ivan. Ignoring evacuation orders, Caroline hides out in the hotel and braves the storm alone. The next morning, she meets a mysterious man on the beach as he enters the churning water for a swim. He is Walker Galloway, a champion swimmer, which she discovers after learning of his disappearance in the newspaper. Realizing she is the last to have seen him, Caroline becomes entangled with his family and friends, and as she is gradually drawn in to Walker's world, she finds, at last, the story she was meant to tell. 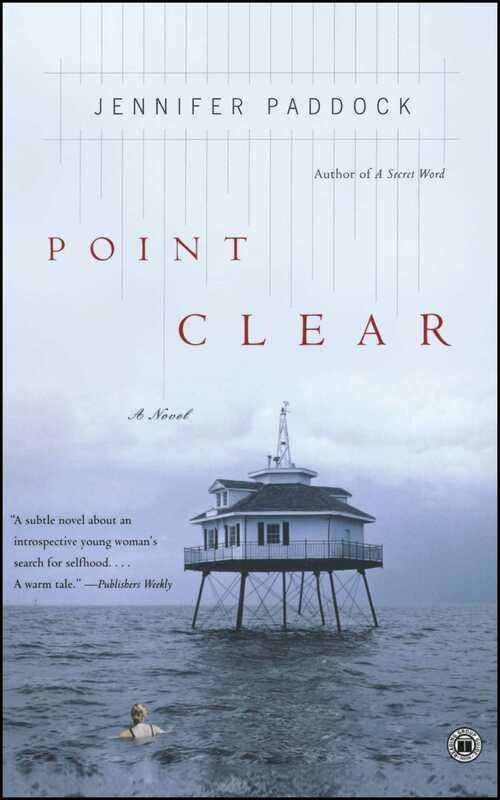 Point Clear is a compelling tale of one woman's quest for self -- who finds it only when searching for another. Twenty-seven-year-old Caroline Berry is living a life of drifting solitude in New York City, working two jobs while her dream of being a writer is slowly fading. Unfulfilled, a little lost, and suffering from an intensifying case of vertigo, she makes an uncharacteristically bold decision to leave her jobs in an attempt to jump start her life and writing career, which leads her to a retreat at a grand old Southern hotel -- a favorite of her late grandfather's -- in Point Clear, Alabama. No sooner does she arrive than Hurricane Ivan strikes, and instead of evacuating with the other hotel guests, Caroline secretly cloisters herself there until it passes. When a man she chances to meet on the beach in the storm's aftermath ends up missing, Caroline can't help being drawn into his life as she tries to sort out her own. Caroline's vertigo first manifests after she learns about her grandfather's death. How does its development highlight and symbolize the dizzying disconnection she feels to everything around her? Caroline believes that "the death of someone you loved would always color everything," and that you can never get over it. How do the deaths of her father and grandfather color her life? Compare Caroline's almost-suicidal desire to risk the storm from her hotel room and her imagined versions of Walker's post-storm swim in the bay. Do you think Caroline really wanted to die in the hurricane? Did you think that Walker really wanted to die in the bay? Caroline remembers her family as "close" during their years surviving tornadoes in Tulsa, and feels that her time in the hurricane is just as important, even though she is alone. Why does she feel this way? When Anderson Cooper comes to the hotel to cover the approach of Hurricane Ivan, Caroline muses that there is a kind of connection through grief between herself (due to her father's car accident) and Anderson Cooper and his mother (due to the tragic death of his brother/her son). Do you agree with this theory? Why do you think the author chose to create Walker and Daniel -- best friends -- as highly accomplished, professional athletes who haven't quite attained the pinnacle of their careers? How does this compare to Caroline's abandonment of tennis after her father's death, or her avoidance of writing a novel while living in New York City? Caroline mentions several times that she feels like she and Walker are "the same person." What similarities are there? Why is this connection important to the development of the novel? In the final lines of Point Clear, Caroline implies that Walker "saved" her. How has her obsession with Walker and her deliberate forays into his life revitalized her own? Discuss the significance of the title, "Point Clear," to the characters and to the overall meaning of the novel. If you've read Jennifer Paddock's first novel, A Secret Word, how do you think Point Clear compares? Do you see similarities of style, character development, or voice? How do you think Paddock is developing as a writer? Take some time to do a little research on competitive sports, such as tennis and swimming, so you can get inside Caroline, Daniel, and Walker's world. Report your impressions to your Book Club and discuss how your newly acquired information has or hasn't changed your perspective on the characters. Get some ideas about what it's like to live in Alabama -- its history, beaches, festivals, and landmarks -- by visiting tourist websites to give yourself a point of reference.